Craftster Community > CITY GUIDES FOR CRAFTSTERS > U.K. AND IRELAND > SCOTLAND > 10% off yarn! 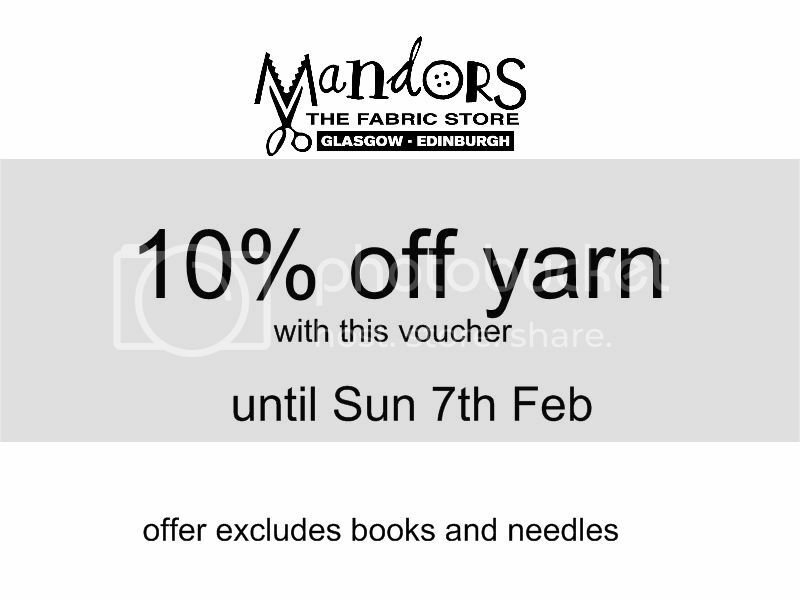 Just to let everyone know that Mandors have 10% off all yarn with this voucher during our sale period. Please feel free to pass the voucher on to your friends.